Check out my Giveaways going on! Click cover to go to Goodreads page. 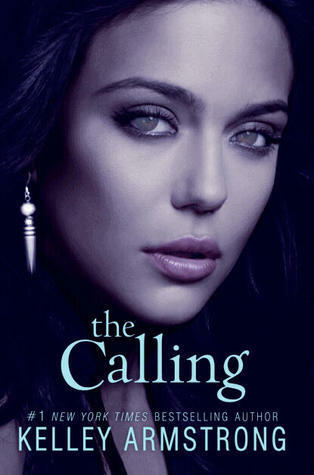 In The Calling, the sizzling second book in the Darkness Rising trilogy,New York Times bestselling author Kelley Armstrong pumps up the romance, danger, and suspense that left readers of The Gatheringclamoring for more. Yes, this has been a WOW for me before! The Calling will probably be a WOW again…um I really want it!!! I got hooked into this series before this series even existed believe it or not. There is a trilogy (Darkest Powers) that leads into the Darkness Rising trilogy that “The Calling” is a part of. Both series can be read separate and so far all the books in this world that Kelley Armstrong are writing are awesome. I can’t wait to get my hands on The Calling! Kelly Armstrong also recently released a book of three companion stories that are in the Darkest Powers world titled Darkest Powers Bonus Pack. I got a copy as soon as I heard of it and can’t wait to get a chance to read it! I have all her books on my TBR list but haven't been able to get to them yet! I do want to check them out. I hear they are amazing. This looks great. The cover is really something too. Look at those eyes. How have I not read anything my this author? Thank you for sharing it. Oh I so can't wait for this one! I am forever waiting on a Kelley Armstrong book! I've read a couple of Kelley Armstrong's books, but I didn't know a new one was coming out! It sounds really good! Great pick and happy holidays!